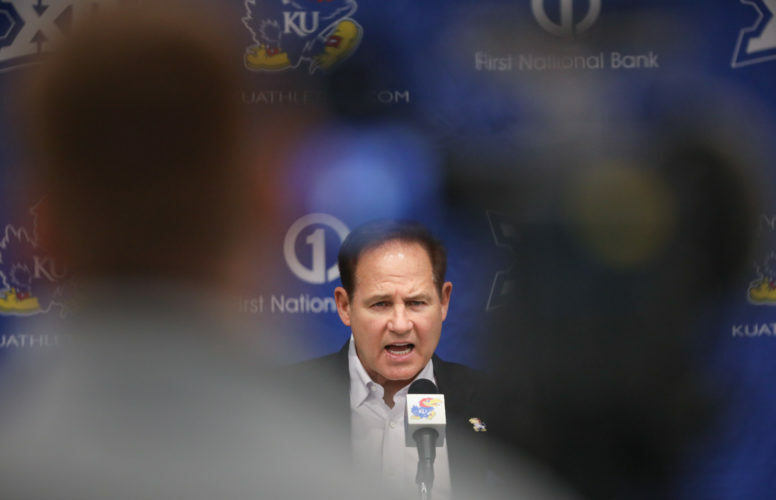 The Kansas football team’s 4-0 mark in Big 12 play might be 1-3 right now if the team hadn’t overcome its fourth-quarter el floppo tendencies of last year’s snake-bit crew. Unless the current Jayhawks suffer a massive collapse, they should be 9-0 and 5-0 after Nebraska’s visit Saturday. 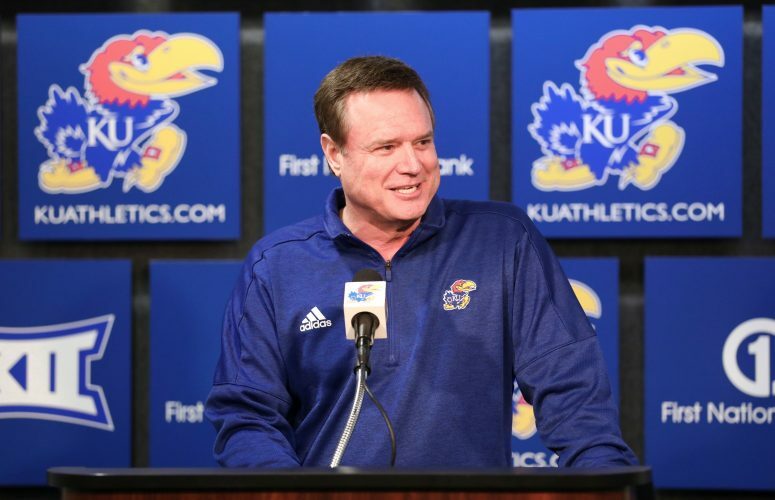 Consider how KU defeated Kansas State, Colorado and Texas A&M, all on the road. At gut-check time, this year’s crew measured up like big-time winners. They might have collapsed in ’06. Consider the 0-4 span of losses to Nebraska, Texas A&M, Oklahoma State and Baylor after leading in the fourth quarter. Last season, Nebraska outscored KU 7-0 in both the fourth quarter and overtime, despite KU’s gallant comeback from 17 down. Then the ’06 Jayhawks went 0-14, 15-21 and 0-19 in the fourth quarters against A&M, O-State and Baylor. Where’s this “git ‘er done” attitude come from? Coach Mark Mangino could be hiding some rant-and-rave, “win one for The Gipper” locker-room tutelage nobody else knows about. He can get excited (ask Raimond Pendleton). But most of his postgame observations, news conferences and talk show remarks are about as turbulent as drying paint atop the Washington Monument. Publicly, it’s like playing a low-key tape recording, win or lose. 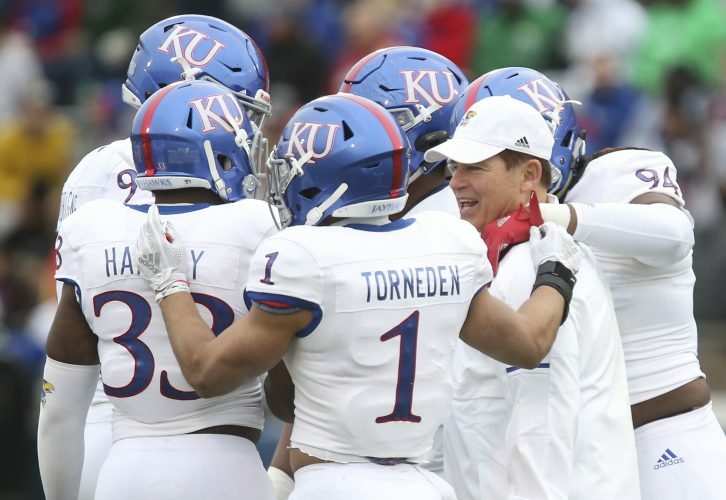 Last Saturday, KU surged in a 19-11 thriller before 85,000 hostiles in College Station, Texas, where rowdy cadets tend to dominate. Brandon McAnderson had just given fans one of the finest running exhibitions they’ve seen in a long time. You’d think the old coach would get a little fired up for that kind of conquest. Nope, instead he delivered a short, matter-of-fact “just gotta keep sawin’ wood.” KU doesn’t need any rages like Mike Gundy unfurled at Okie State or any of the cynical jibes a la Dennis Franchione at A&M. But, golly, how about a little more fire for the fans. He seems to have a brutally practical approach to the socializing thing: You win, you don’t need it; you lose, you don’t want it. Jellying around with the faithful is OK if you’re a Jack Mitchell or Don Fambrough. If you’re Mark Mangino, you take a more reclusive route. But you’re smart enough to do whatever it takes to get good, dedicated and able kids into your program. 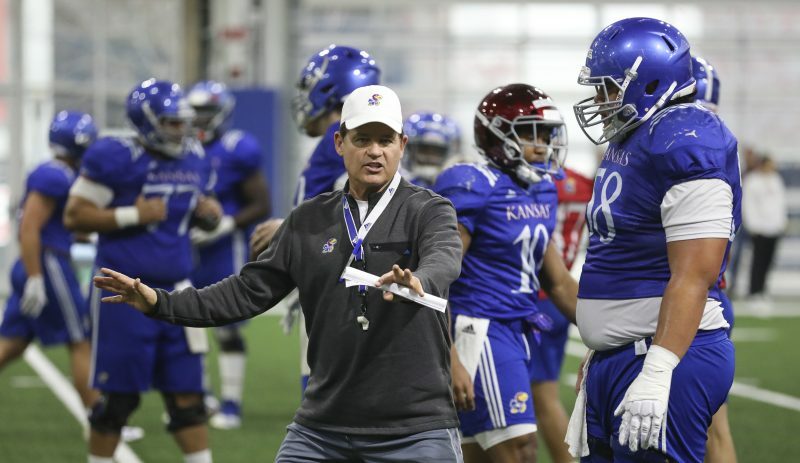 They may not have high school All-America credentials but, like Brandon McAnderson, they have depth, quality, skills and appreciation for Kansas University and what it can do for them, football and otherwise. Nothin’ too shabby about that. Then you surround yourself with top-flight people like Bill Young, Ed Warinner and Clint Bowen, indoctrinate them into your program and let them perform. Bear in mind, Mangino was on some terrific staffs at Kansas State and Oklahoma and knows what works. Over time, the water wears down the stone, you start winning games you once lost and you might even construct a 12-0 season. 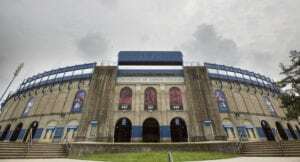 Somebody on The Hill is doing what it takes to give KU one of the finest years it’s ever had.